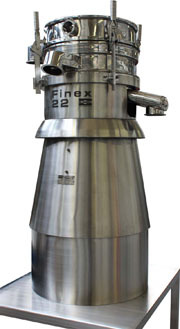 UK-based screen and filtration specialist Russell Finex has extended its range of Compact Sieves. 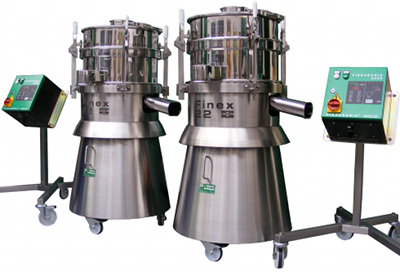 These high-performance low profile vibrating screens for liquids and powders were invented more than 20 years ago and have been installed in a range of industries worldwide. 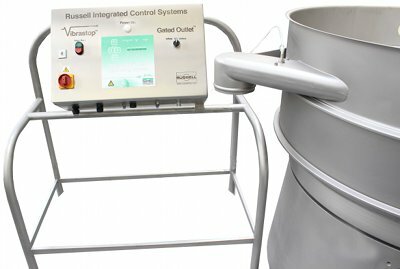 Mounted on a unique rubber suspension system, the Russell Compact Sieve is said to offer considerable benefits over conventional spring mounted systems. As well as quieter operation (typically less than 70dBA), the screener is able to transmit significantly more vibration to the mesh screen surface. Combining this with its straight-through design allows for much higher flow rates and improved product separation. In some cases a 22in unit can handle flow rates similar to a traditional 48in spring mounted unit, the firm says. In all manufacturing processes, minimising downtime and maximising productivity is key to achieving optimum profitability, which is why the Russell Compact Sieve enables rapid assembly and disassembly without requiring tools. This is achieved by minimising the number of product contact parts and by incorporating quick release toggle clamps instead of conventional band-clamp systems. This means that one operator can dismantle the screener, replace a mesh screen and reassemble it within a matter of minutes. 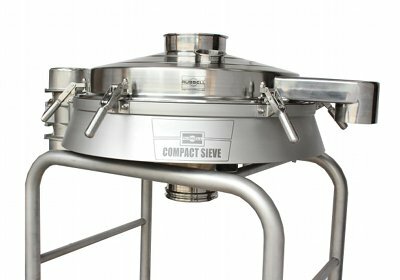 The Russell Compact Sieve is now available in five different sizes, ranging from a 10in lab unit up to a 60in production scale unit. 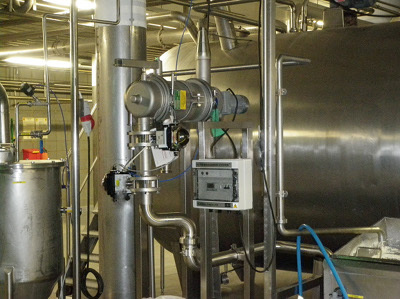 All sizes are now also available in fully stainless steel, which provides increased durability within corrosive environments as well as providing the option for brush or mirror polished finishes for food and pharmaceutical applications.